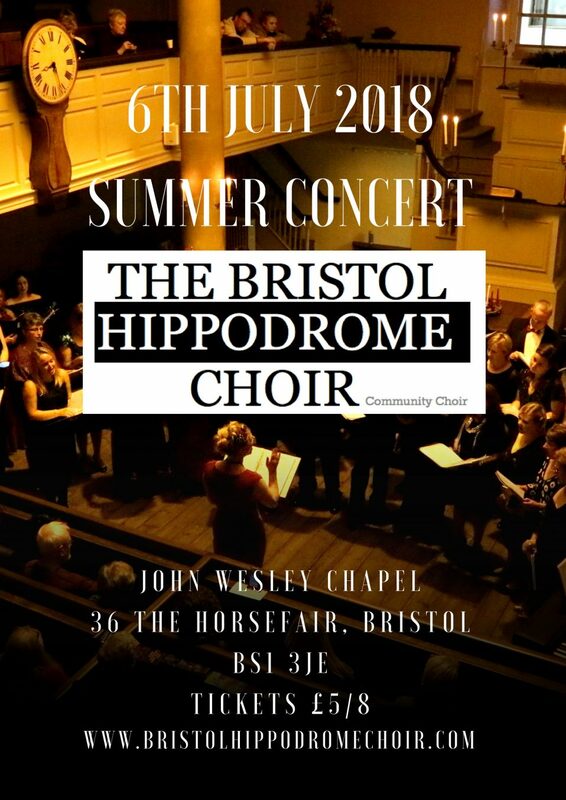 The Bristol Hippodrome Choir will be staging their Summer Concert at the New Room on July 6th. This popular choir, led by Victoria Bourne, is completely made up of volunteers who meet weekly at the Bristol Hippodrome and other venues. The Summer Concert includes well known jazz, pop and folk classics and well loved songs from musicals like Grease.